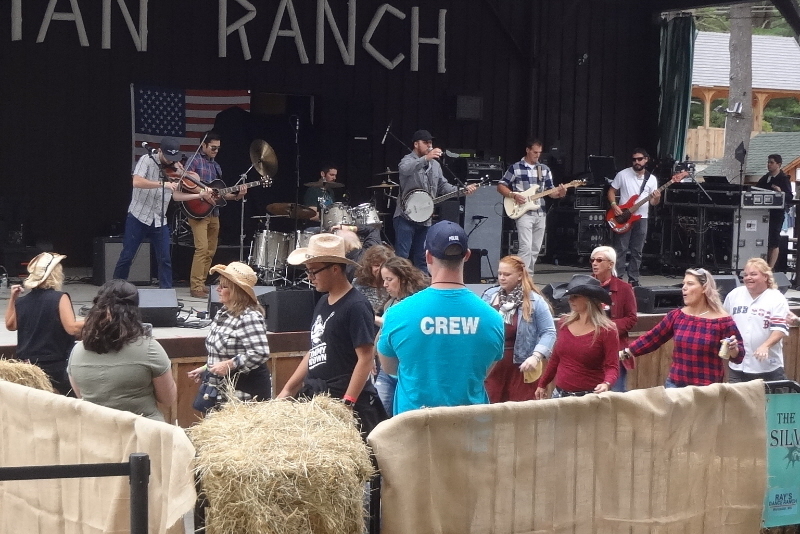 The 2nd Annual Local CountryFest, organized and promoted by Octo Rock Cinema Productions, seems to have quickly become an annual pilgrimage for local country music fans. I really enjoyed last year’s inaugural event (as you recall if you saw the review) and had been looking forward to its follow-up. 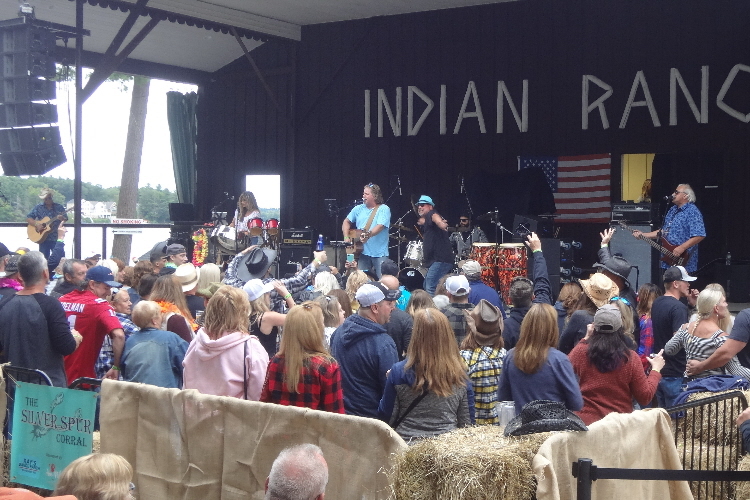 This year, another decent-sized, fully engaged crowd came out to see a line-up that included a significant portion of the area’s top country artists. 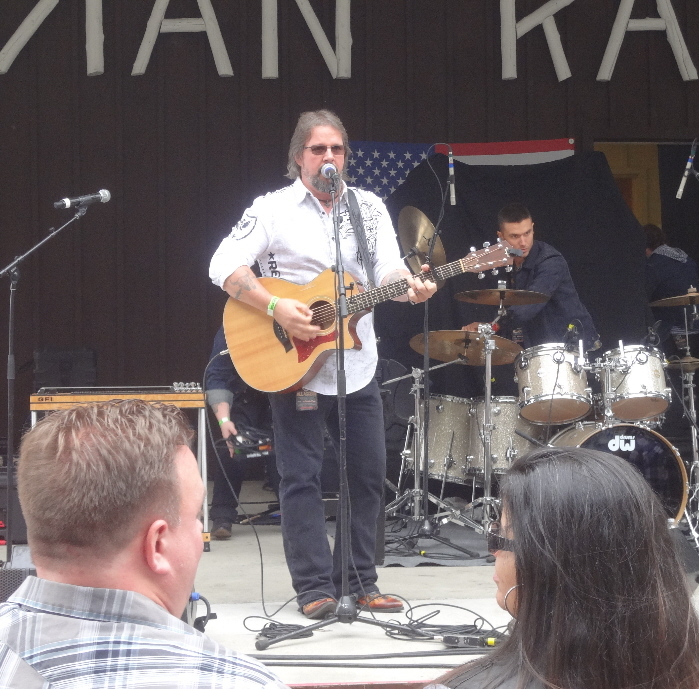 Decent fall weather served as the backdrop for a show structured with short acoustic performances interspersed between the full sets to keep the audience engaged. 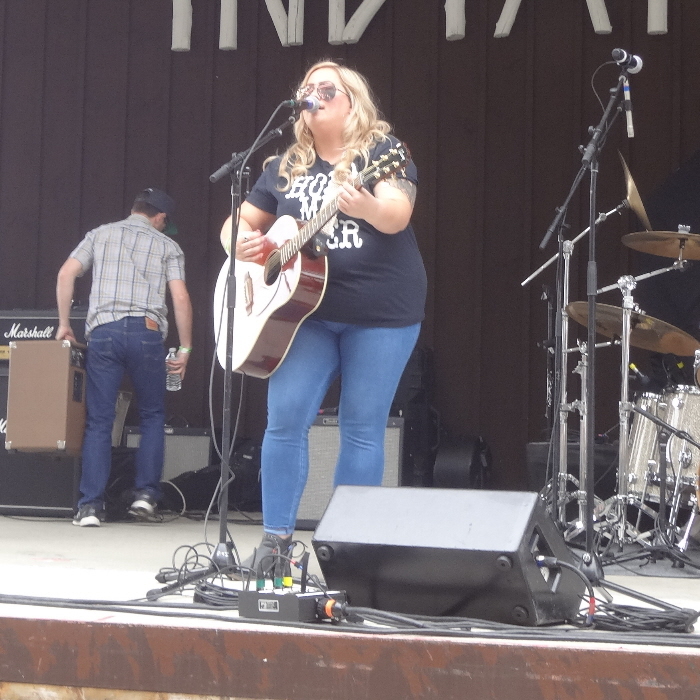 Lyssa Coulter performed on the Corral Stage while the crowd was filtering in. Then the performances moved to the main stage, featuring short sets by Liz Bills, Steve Robinson, April Cushman, Lyssa Coulter, Mychael David, and Tom Revane and full sets by Tequila Bonfire, Back Rhodes, Timmy Brown and Black Diamond, Annie Brobst, the Houston Bernard Band, and Scarlett Drive. 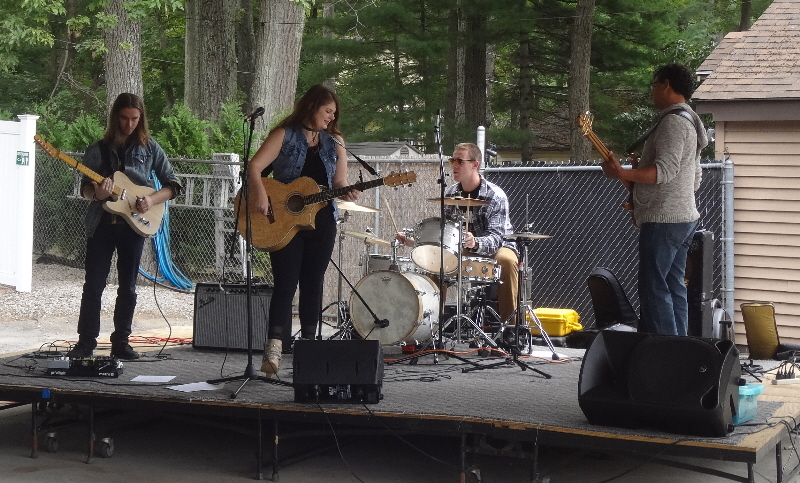 The venue itself is one of the coolest places to catch live music outdoors in central Massachusetts. 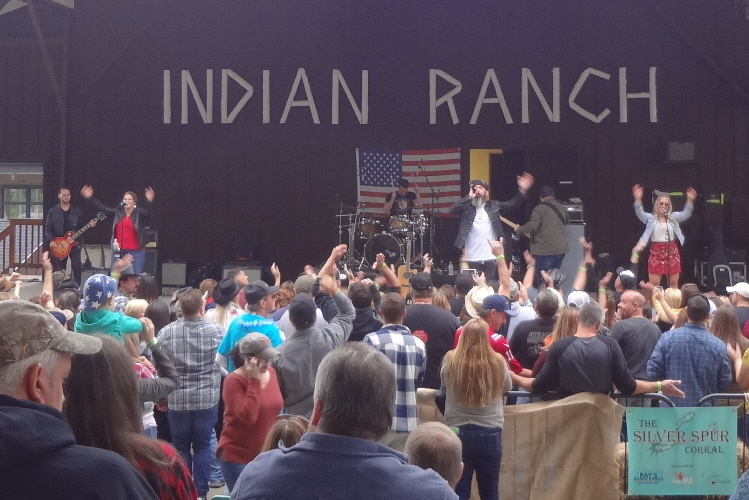 The big stage at the Indian Ranch campground sees a lot of big-name acts that country music fans (and classic/southern rock fans) would enjoy each summer. At one edge of the concert grounds is a dock where you’ll see The Indian Princess, a riverboat that gives tours of the lake. You know I love unique concert settings, and this is a cool place for a show. With so many artists involved at Local CountryFest, I’ll write a quick paragraph or two about each band, drop in a photo – I hope I have decent shots of all of them – and move on. I’ll save fuller artist reviews for when I catch their live shows or review their recordings. I arrived during the last few notes of Lyssa’s Corral Stage set, just in time to join the crowd for Scarlett Drive’s performance of the national anthem to kick things off, quickly grab a cheeseburger, and hear Liz Bills’ opening set on the main stage. 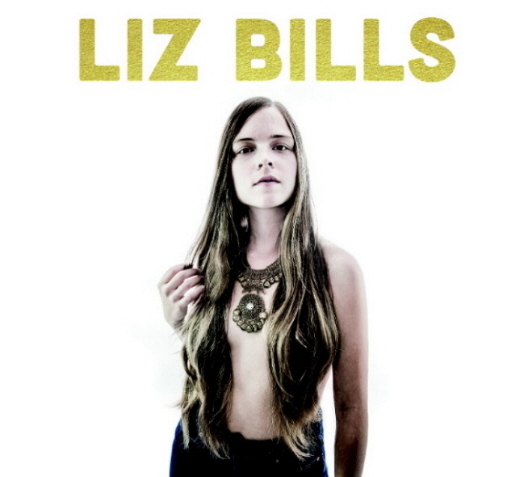 You know we’re big fans of Liz Bills here at the Blog, most recently reviewing Liz’s eponymous EP. 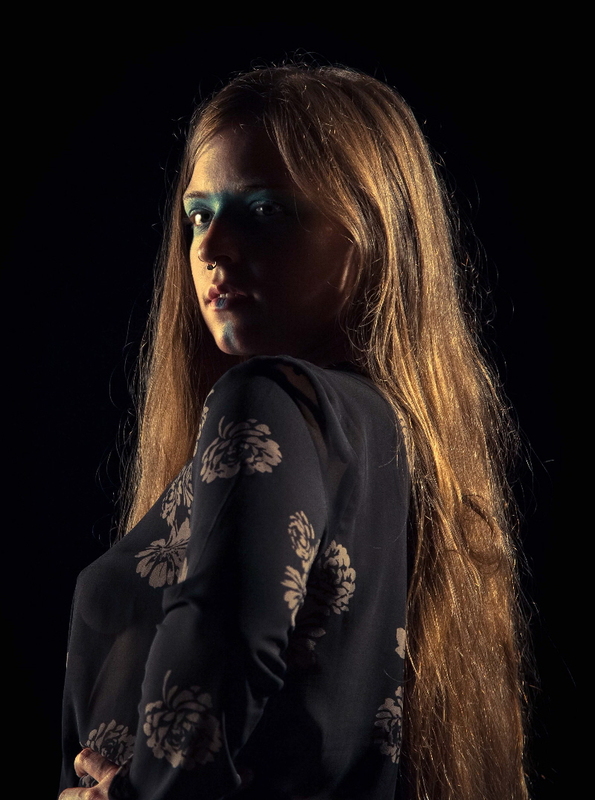 Liz’s powerhouse voice lends itself to psychedelic rock, whether hard rocking, as is often the case when she takes the stage with Analog Heart, or a more jangly version, still ’60s/’70s-rooted, in a more acoustic setting. 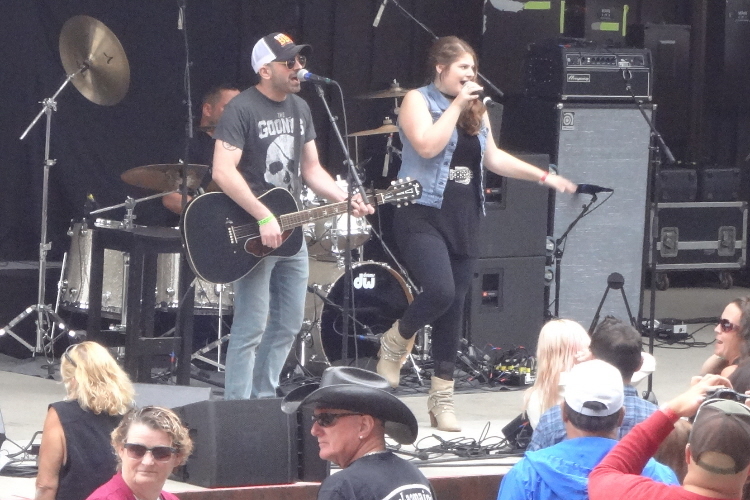 And, while she’s not a pure country artist, I’m glad she was included at this event, as she has become one of the area’s top voices, and her style should appeal to the rocking side of a lot of the area’s country music fans. Liz’s short set showcase both the power of her voice and her range, with the power being represented by “Born to Wander.” She closed her set with one of my favorite songs from her EP, “The Bomb Song,” which is janglier and more airy, showing off the folk-rock edge of Liz’s style. The song selection this afternoon was a great sample of Liz’s singing and performance skills. The first full set of the day came from the 2017 Worcester Music Awards winner (and perennial nominee) for Best Country Act, Tequila Bonfire. I hadn’t seen these guys before, but they lived up to their reputation of providing a rockin’ country good time, kicking things off with “Let the Games Begin,” a song that adds a unique vocal vibe to an otherwise straightforward modern country sound. Other standout songs of the set were the band’s powerful rendition of “Life is a Highway,” more mid-tempo rockin’ performance of Old Dominion’s “Hotel Key,” and their fun cover of Keith Urban’s “Somebody Like You.” Tequila Bonfire has the chops and knows how to engage the crowd on a big stage; I can easily see why they’re a regional favorite, and deservedly so. The next band on stage was another whose name I had seen repeatedly but whose shows I hadn’t yet made it out to, so it was a pleasure to catch Rhode Island’s own Back Rhodes. I’d describe their lane on the country music highway as a traditional country music foundation with a modern country twist. Featuring a fiddle and banjo in the line-up and led by deep vocals, Back Rhodes has the tools to pull it off. They kicked their set off with Dierks Bentley’s “What Was I Thinking” and closed it with a rousing rendition of The Charlie Daniels Band’s “The Devil Went Down to Georgia.” One tune that stood out for me during the set was the band’s new song, “Big Spender.” Featuring an old-school country foundation, the song was full-on new country whenever the band kicked things up a notch. There were subtle little musical hops and kicks, especially late in the song, that are the sorts of details that give a tune a memorable style. With their unique country brand, Back Rhodes is an interesting band to keep an eye on, and clearly already a fun band to see perform. 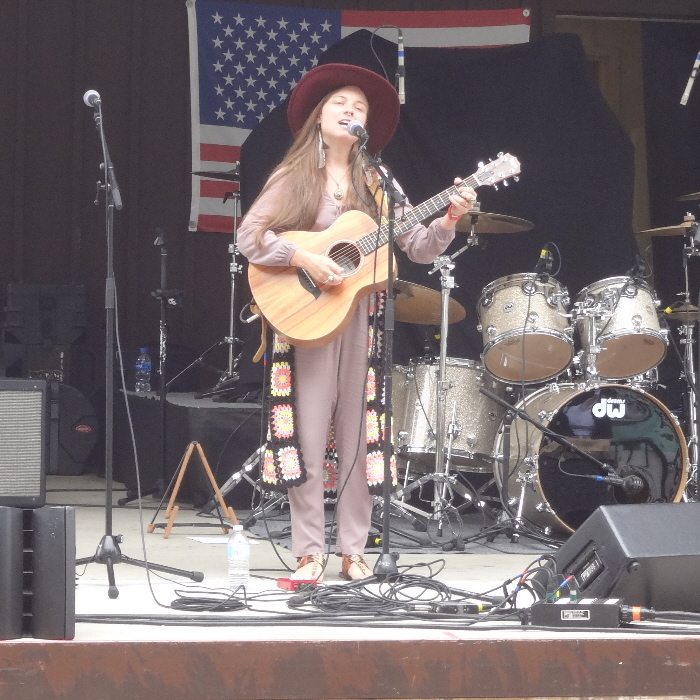 The next short set featured the soft, lush vocals of April Cushman. Very warm and easy-to-listen-to, April’s voice and style would be equally well-suited to an intimate listening room or a big stage. The one song I noted, in that it showed the breadth of April’s range, was her rendition of the Dixie Chicks’ “Cowboy Take Me Away.” Her performance displayed a sort of rolling power in the vocals but remained soft and appropriate for its acoustic guitar accompaniment of this particular performance. 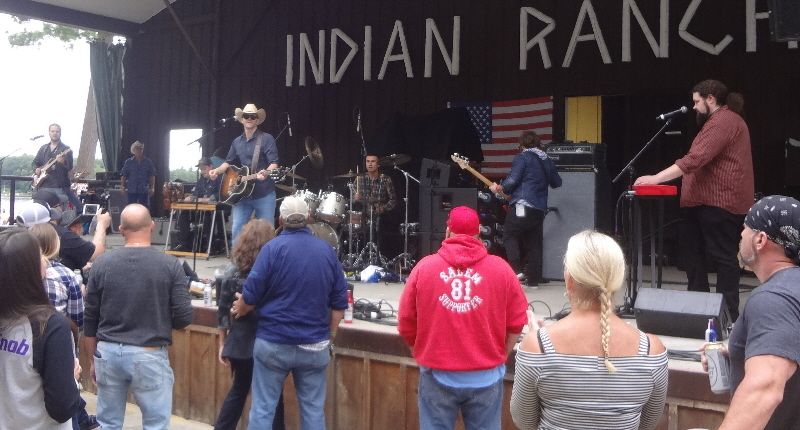 Though I had heard about Timmy for quite some time, last year’s Local CountryFest was the first time I saw his band live. If possible, and I’m not sure it is, the band is even tighter this year. No one can whip a New England crowd into a frenzy quite like this local boy can, and his performance once again amped up the energy at this year’s concert. 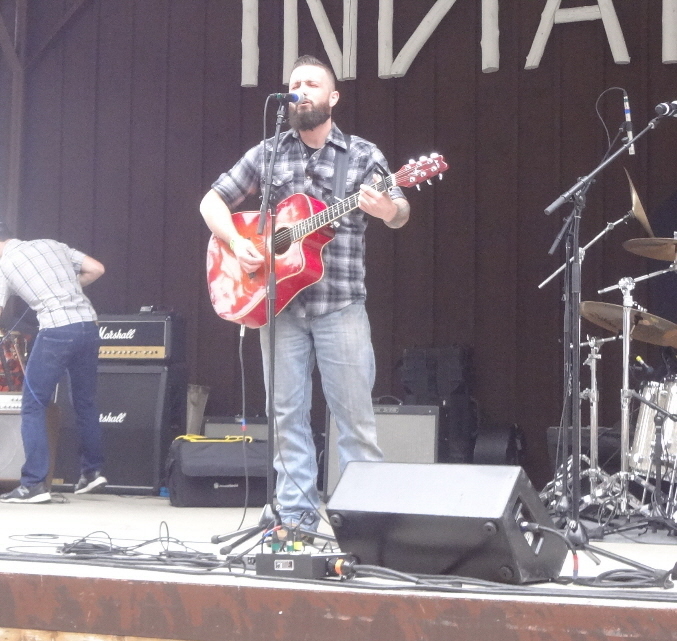 Two-time New England Country Male Artist of the Year, Timmy relied on a mix of well-considered covers and hard-driving originals for this set. (Notice what they have in common.) Covers included “Leave This Town” and, notably – I told you he could whip a New England crowd into a frenzy – a terrific rendition of “Sweet Caroline” that really showed off his rich, deep voice. Timmy’s originals are so familiar-sounding that they often feel like songs I’ve known for a long time, particularly within the context of his set list, which means he’s always playing to his strengths. Timmy’s songs range from the down-home country of “Leave This Town” to the crowd-pleasing party song “How We Drink Here.” Timmy closed his set with a laid-back, nostalgic-sounding, everyday, relatable, crowd energy-lifting tune, “Lil Bit,” one you’d stylistically expect to hear on country hit radio. It’s always a pleasure to catch a set by Timmy Brown and Black Diamond. They’re a tight musical act, and their performance is a guaranteed good time. Though I missed all but the last 30 seconds of Lyssa’s as-the-crowd-files-in performance at the Corral Stage, I was fortunate she had this three-song spot later in the show. 2018 New Act of the Year award winner at the New England Music Awards, Lyssa’s voice has a characteristic warble when she hits some of the softer notes, and she showed it off particularly well on her originals. Notably, “Whiskey in the Twilight,” a very young-feeling pop-country song that showcased her stylistic calling card. Lyssa’s mini-set also featured a cover of Taylor Swift’s “Mean,” the sort of cover that seamlessly fits with her young, light, poppy country music style. Nobody. Simply nobody. Owns a stage better than Annie Brobst does. And musically, Annie’s a one-of-a-kind on the local country scene, too, coupling her identifiable, sweetly powerful voice with her big stage presence to deliver a “strong country girl” persona. As is sometimes the case at fun concerts, moreso lately it seems, I caught myself grooving to Annie’s set rather than taking notes, but I do believe she opened with the first single from her new album, My First Rodeo, “Love You More.” And she followed it with one of my favorites from the disc, a song with softly rolling strength and power, the more-energetic-than-its-tempo “Still Water.” Annie closed her set heartstring-tugging, memorable “Change of Heart,” one of the songs that showcases the rich side of her country voice. Running the gamut from heartfelt melodies to rockin’ country, an Annie Brobst set, particularly on a big stage, is a concert event. After Annie, Mychael David took the stage to perform a couple songs, solo and acoustic. A local country festival wouldn’t have been complete without this rich, classic, timeless voice that has entertained area crowds since before the local country music scene’s recent renaissance, so even though we didn’t get the treat of hearing his full band – I reviewed The Mychael David Project’s full band show a couple years ago – his two-song acoustic mini-set was still a special treat. He’s flanked by an exceptionally impressive guitarist and bass player in his full band (shoutout to Howie and Pete), so you forget how well he wields the axe himself until you catch a solo gig. But once Mychael starts to sing, no matter what, it’s always about his voice. And he brought that with him this past weekend. Though he can cut across the country landscape – in many ways, in style and sound, a lot like Garth Brooks – Mychael’s music tends to be underpinned by the more classic end of the spectrum, and he skewed a old-school in this set. He opened with “Put Your Badge Back On,” a deeply emotional storytelling song from his new album, Heroes & Honky Tonks. Then, with a nod to the past, he covered Radney Foster’s “Texas in 1880,” one of those wide-open spaces songs. The set was too short, but it reminded me it’s been more than a year since I heard Mychael perform a full set; I’ll need to remedy that ASAP. “Wait For It” proved to be an energetic show-starter with a subtle hook I guarantee will get stuck in my head as I give the EP a few listens. “Lucky Man” followed, powered by heavy organ and featuring a cool steel guitar vibe. 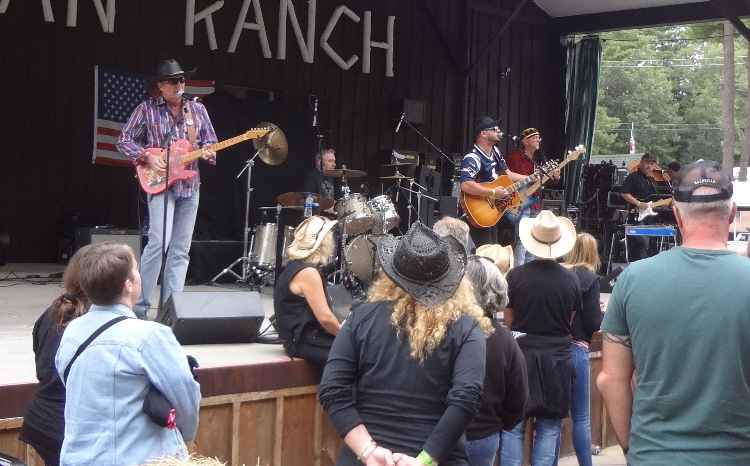 Next up was “Country Crowd,” a sure-fire, dancefloor-filling crowdpleaser from Knockin’ Boots. “What a Man Should Do” was a soaring crooner, a nice change of pace. “Never Grow Old” combined a comfortable familiarity with a sneaky hookiness. And “We Made Out,” a catchy mid-tempo number, was a great choice for the band’s current single. You can’t hold a show in Webster without Tom Revane on the bill. A raucous, loud mix of southern/classic rock-meets-parrothead, a Tom Revane set is a guaranteed party event. Unlike most of the short sets, Tom and band performed in full band mode and kept the audience in an entertainment frenzy. The short set list included “Gimme Three Steps,” “It’s 5 O’Clock Somewhere,” and “Margaritaville.” The frenzied crowd loved every minute of it. And a not-exactly-country but very entertaining Webster troubadours secured their place in the annals of yet another Local CountryFest. 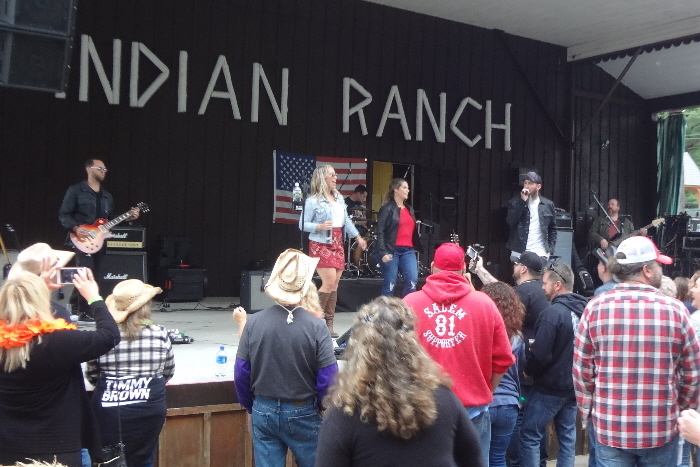 Headliners Scarlett Drive brought the fun day of the cream of the local country music crop to a rousing, fitting close. Full of energy and doing a great job working the stage, these local country favorites – and reigning New England Music Awards winners for Country Act of the Year – embraced the well-earned mantle of “headliner.” The band opened with “Blame the Whiskey,” a song full of punch, power, hooks, and harmony. Other highlights included “One More Time,” a song with mid-tempo energy and soulful vocals. This could absolutely be a memorable one. And “Quarters,” a rich, plush, guitar-driven country power ballad – one of those songs that’d have an arena swaying with lighters – or phones – aloft. 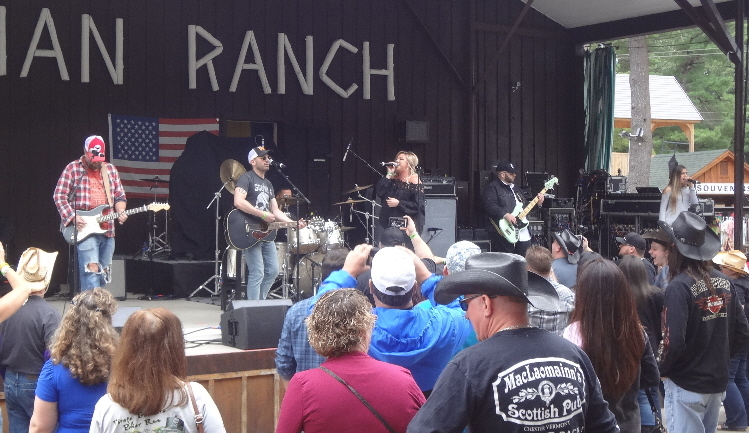 Toward the end of the band’s set, the delivered a rollicking, energetic, crowd-pleasing rendition of Little Big Town’s “Boondocks.” Then Scarlett drive closed the show with their original “If You Wanna,” an energetic number that hangs its hat on a heartfelt-flavored vocal. This is one of the many Scarlett Drive originals that’s geared toward a special tone in singer Chris Martin’s voice, supported by the group’s rich harmonies. A great country band in any case, Scarlett Drive’s originals play to their unique strengths. And that’s as it should be. Headliners on this day, Scarlett Drive closed the show out with a flourish. One day. Many of the area’s best country music artists. And this really is a golden age of country music in New England, with so many great acts to choose from. This concert was a treat for fans. The acoustic sets between full band sets kept the show moving from beginning to end. 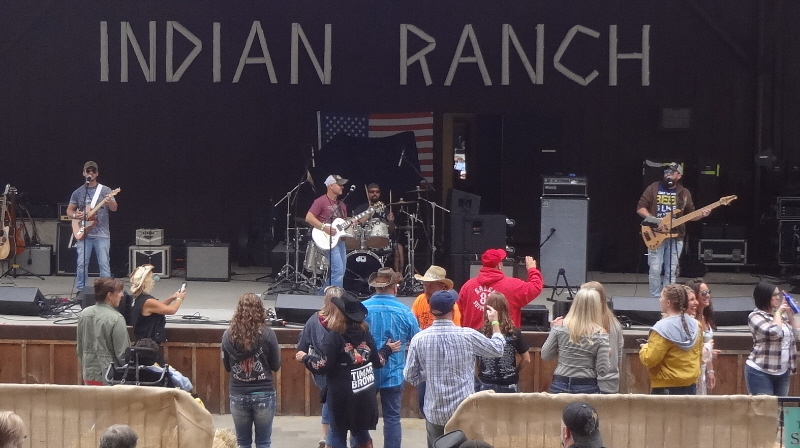 And did I say what a cool venue Indian Ranch is for such an event? I love this place. In any case, though I’m still basking in the glow of this year’s Local CountryFest, I’m already looking forward to next year’s. Once the date’s announced, I’m circling it on my calendar. This brand new self-titled four-song EP – it’s scheduled to drop on Saturday, November 18th – is the first solo release by Analog Heart frontwoman Liz Bills. Liz has a voice you can recognize quickly. It’s powerful, versatile, original, and memorable. When I first heard Liz with Analog Heart, I was impressed, but with each successive step, I’ve heard growth. In dynamic delivery, full utilization of her vocal tools, consistently strong songwriting and the ability to find unique hooks. Most of all, though, while conveying a confidence and feeling that she is exactly where she belongs. That has always been a strength of Liz’s (at least during the two-plus years since I first – and last – saw her perform); her presence just seems to get stronger with each recording. You’ve seen reviews of Analog Heart’s Sun Here I Come album last year and, this past summer, the band’s “Not Good Enough” single here in the Blog. Those had a band vibe. Liz’s new, eponymous EP is still a rock album, but it really showcases her voice and personality within and beyond the music. And hits. It has hits. The first two tracks on the collection are immediate, smack-you-in-the-face with their catchiness kind of hits; the back end of the EP, meanwhile, is subtler in its hookiness, obviously good songs even at first, but they ultimately hit you sneaky-hard as you peel back their layers and discover their massive coolness. The first half of the collection, which I’ll call the “instant favorites” half, begins with “Born to Wander,” a big song with energetic strumming and rhythm, monster hooky stop-gaps and tempo changes, big, powerful vocals that include Liz’s crystal clear highs, and plenty of engaging character. It’s followed by “My Man,” another smack-you-in-the-face, memorable-from-the-first-listen, causes-music-journalists-to-overuse-hyphens tune. There’s a bit of a ’70s funky rhythm and some tempo-changing lyrical runs, but the most Liz Bills element of the song is a spoken word, conversational, encouraging/empowering-conversation-with-the-audience portion, something she does memorably well, a trick Analog Heart fans might recognize from “She’s Rock ‘n’ Roll.” Indeed, “My Man” is a song you won’t soon forget. Unless my favorite is “Bomb Song.” It’s also lyrically clever. And, as with “Werewolf,” once you stop listening passively and pay attention to said lyrics, the unusual point of emphasis, “bang,” suddenly makes sense and becomes the lyric you sing along to the most, just as you start to howl after several listens to “Werewolf.” “Bomb Song” also sports a cool, rhythmic, not-quite-syncopated strum that, at the end, halts abruptly. Abruptly emphasizing the brevity of this four-song collection and making you want more. So, of course, this is an EP that has to be played on repeat. In the end, yes, I’ve been in Liz Bills’ camp for a while now, intrigued the first time I heard her perform live. At the time, before I started blogging and just as “Merrimack Jane” was released, I thought Analog Heart had finally hit its songwriting groove, found its niche. The band rounded a corner with a strong album beginning to end with Sun Here I Come. And now Liz has managed to kick things up another notch with her eponymous solo EP. She’ll have to blow the roof off the proverbial joint to lift her game any higher, and I look forward to hearing her try. I bet she can. For now, though, I’ll just sing and howl along with her all-too-short solo EP, and I suggest you do the same. This rock ‘n roll singer-songwriter-bandleader is something special. The “tour” section of Liz’s website lists her upcoming tour, kicking off with a Saturday, November 18th album release show at the Chit Chat Lounge in Haverhill, MA. The subsequent tour includes stops in Millvale, PA; Cincinnati, OH; Burns, TN; Nashville, TN; Louisville, KY; Richmond, VA; Lynchburg, VA; Baltimore, MD; and Brooklyn, NY before she returns to Massachusetts for a December 5th date at Atwood’s Tavern in Cambridge. Check Liz’s website for details and for additional dates as they’re added.